Poetry from my forthcoming chapbook Fossil has been featured in ‘Chamada From Chico Mendes’ digital carnival installation connects with environmental activism. 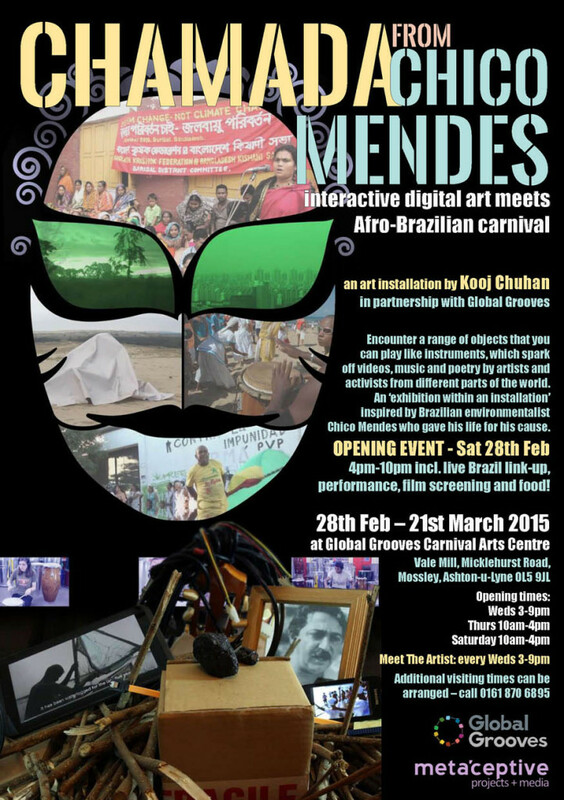 It is an Interactive Digital Carnival Installation by Kooj Chuhan inspired by environmental activism stories from across the world – including Chico Mendes. Created in partnership with Global Grooves.